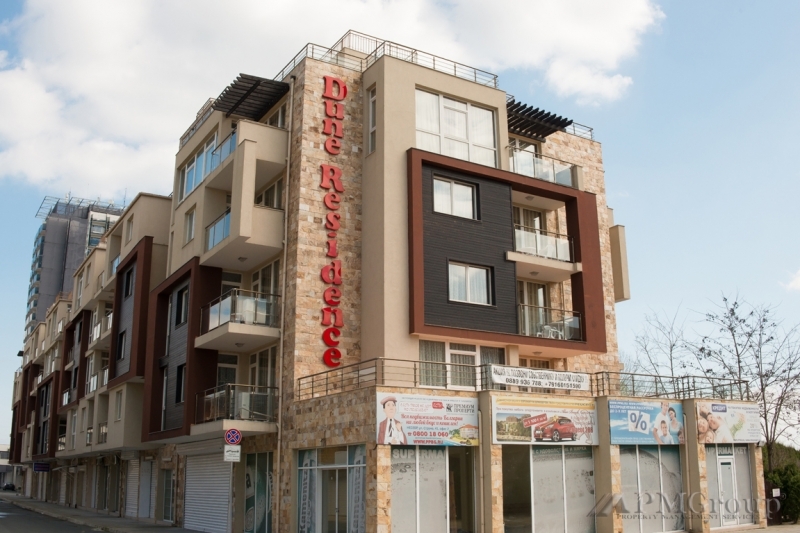 Admiral Plaza is a new apartment complex situated in the central part of Sunny Beach near hotel "Planet", casino "Hrizantema" and one of the emblematical places - the famous “Bar Variete”. The modern holiday complex is located near the beach in an area rich with nightlife and attracts visitors mainly for its wonderful location. Nearby there is a convenient public transportation to the neighboring town of Nessebar, unique with its history and architecture. 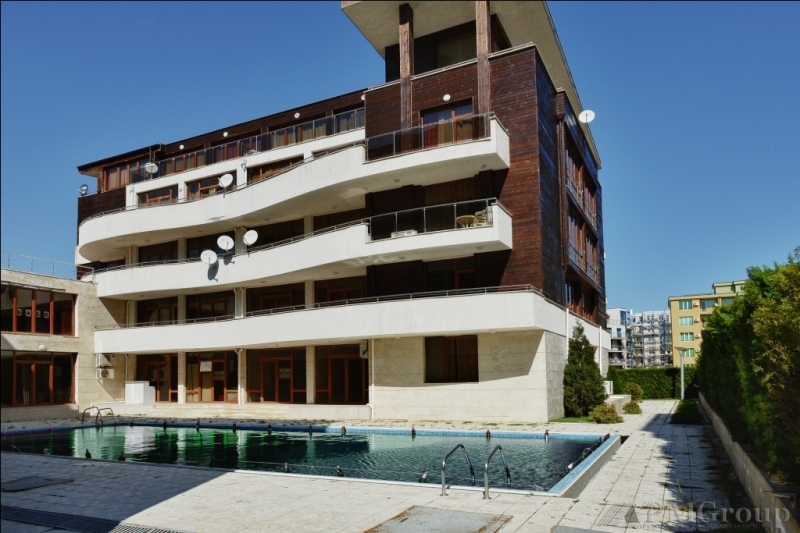 Complex Arkite is a very pleasant and stylish holiday complex situated on the road to Kosharitsa at the foot of the Emine Mountains, just a 5 minutes drive from the beach in Sunny Beach (2 km). The gated complex enjoys a unique combination of modern buildings, offering all standard amenities and distinctive authentic architecture of old Bulgarian houses. 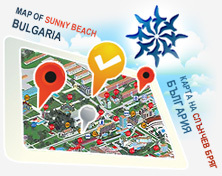 Bravo 5 is some 500 meters from the beach, on the intersection of the main street of Sunny Beach, which connects the western part of the resort with a super center. Most popular bars, discos and restaurants are located near the complex. Crown Fort is situated on a hill just 3 km north from St. Vlas, which reveals panoramic view to the sea, Sunny Beach and Old Nessebar. It is surrounded by the beautiful forests of the Balkan Mountains, which are the reason for the fresh air during the summer months. Advantage of the location is also the sea shore only 150 m away. Complex Dune Residence is located only 50 m away from the beautiful sandy dunes of southern part of Sunny beach. With its location and opportunity for a valuable holiday, the complex attracts mainly families with children, elderly couples and romantic young people. On the territory of the complex there is an outdoor zone for relax, children playground, parking lot / paid/. Eden is a new complex, located in the northwestern part of Sunny Beach, near the center but still isolated enough from the noise and traffic. The area around Eden is well developed and offers a big choice of night club, shops and attractions for all visitors and allows them to spend an unforgettable summer holiday. Two minutes from the complex there is a bus stop of public transport, which makes access to the center, the neighboring resorts of Nessebar and St. Vlas convenient. 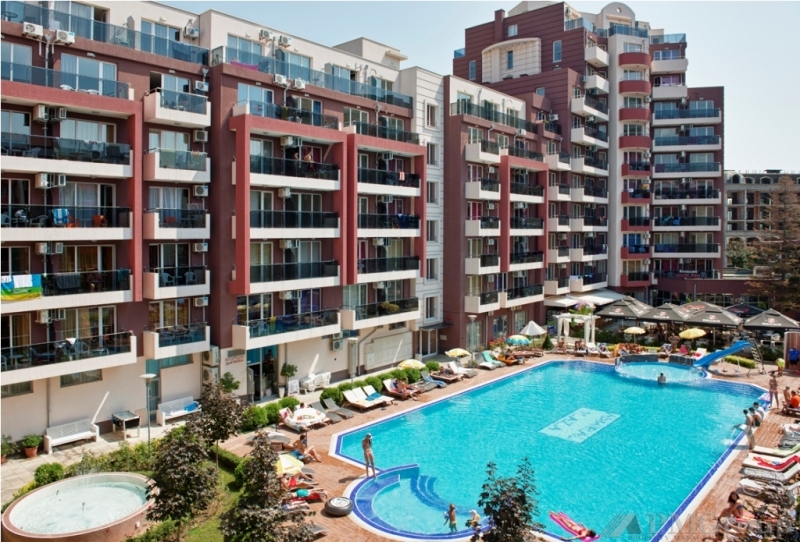 Stylish and modern, Elite 4 holiday complex is located in a quiet and tranquil area in south-western part of Sunny Beach. Just 300-400 meters from Elite 4 is the famous Cacao Beach with its attractive clubs and restaurants. Nearby is the bus station connecting Sunny Beach with Nessebar and St. Vlas villages, a 24 h mini market is also available at a close distance.